Right out of Julian Barnes's England, England comes Dickens World, a £62 million "indoor themed attraction based on the life, books, and times of Charles Dickens" opening at Easter in Chatham, Kent, where Dickens spent much of his childhood. The four-acre theme park, variously called an "attraction" or "experience" in publicity materials, will "reproduce the architecture of the period with picturesque archways, cobble-stoned streets, and decorative features, together with specialised lighting and appropriate euphonics as well as a host of costumed characters, shop keepers, and street entertainers." It will include a "Dickensian shopping mall," rides (including a "dark boat ride" complete with smells and rats, that will transport visitors "from the depths of London’s sewers through atmospheric streets, courtyards, markets, and shops to a magical flight across the rooftops of London"), a Haunted House, Fagin's Den, Peggoty’s Boat House, a School Room (illustrating "the Dreaded Disciplines of Victorian Education, Crime, and Punishment") and, of course, The Old Curiosity Shoppe. A 250-seat theatre will provide a multisensory animatronic performance throughout the day and "burlesque" dinner shows will provide a nightly menu of "naughty delights" in the "free and easy" Victorian music hall. But wait, there's more...during the holidays, Dickens World will convert into a winter wonderland, replete with snow and complemented by a water feature that morphs into an "ice fantasia" dominated by "The Spirit of Christmas," "Jack Frost," "Scrooge," and a host of other "delightful" characters who magically come to life. Says management: "Dickens World is based on a credible and factual account of Charles Dickens's works and the world in which he lived. Working with The Dickens Fellowship great attention has been paid to the authenticity of the time, characters, and story lines. It offers a new and entertaining way to enjoy Dickens and his characters" and will help visitors gain "an understanding of the times and conditions people experienced living in England in the early nineteenth century." I confess I am ambivalent about this. The snob in me is recoiling in horror; the cynic in me is snorting; the lover of spectacle and kitsch in me can't wait to see it. As a historian, I hesitate to rush to judgment because it was through another kind of historical fiction--novels--read as a child that I grew to love learning about other times and places and which ultimately led to my choice of profession. (I wonder how many historians are historians because of books like Esther Forbes's Johnny Tremain and Elizabeth Borton De Trevino's I, Juan de Pareja. I bet it's a lot.) Of course Dickens World will fall short in terms of historical accuracy and will be roundly derided for that reason by some scholars if they deign to comment on it at all. But perhaps it will inspire some young visitors to want to know the true story of the Victorians or even to become historians themselves. If nothing else it will provide fodder for a dozen PhD dissertations that will use words like "simulacra," "intertextuality," and "experiential consumption." Meanwhile, the house in Kent where Charles Dickens lived the last 15 years of his life could become a public heritage center. Gad's Hill Place, in Higham, has been a school since the 1920s, but plans are afoot to build a new school in the grounds and open the house to visitors. 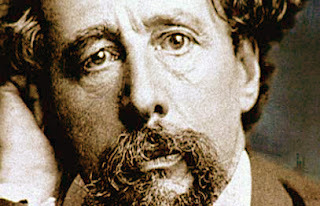 Dickens lived at Gad's Hill from 1855 until his death in 1870 and wrote his last three novels, including A Tale of Two Cities, there. Read the BBC story here. Fragile Things: Short Fictions and Wonders, Neil Gaiman's second collection of short prose and poetry, has just been published in paperback in the UK. It includes the Hugo Award-winning Arthur Conan Doyle/HP Lovecraft pastiche “A Study in Emerald,” in which Sherlock Holmes must solve the murder of a member of the British royal family. It's ingenious and unforgettable. The story is also available at Gaiman's website.